Michael Bloomberg, founder of Bloomberg LP, philanthropist, U.N. Secretary-General’s special envoy for cities and climate change, and three-term mayor of New York City, will speak at the 2017 Endowment and Debt Management Forum, to be held Feb. 1–3, 2017, in New York City. Bloomberg will speak on Thursday, February 2, at 8:00 a.m.
An entrepreneur, Bloomberg launched a technology startup in 1981, to provide real-time data and analysis to the financial services industry. Since then, the firm has grown into a global company that now employs more than 19,000 people in 73 countries. He led the company for 20 years before entering public service full time and, since leaving city hall in 2013, has resumed leadership of Bloomberg LP. Elected mayor of New York City less than two months after the September 11 terrorist attacks, Bloomberg led the city in a rebound that was faster and stronger than expected. His administration raised high school graduation rates by 40 percent, cut crime by one-third, reduced the city’s carbon footprint by nearly 20 percent, and increased average life expectancy by three years. His economic policies, which supported entrepreneurs, small businesses, and emerging industries such as tech and bioscience, helped to create a record number of jobs. 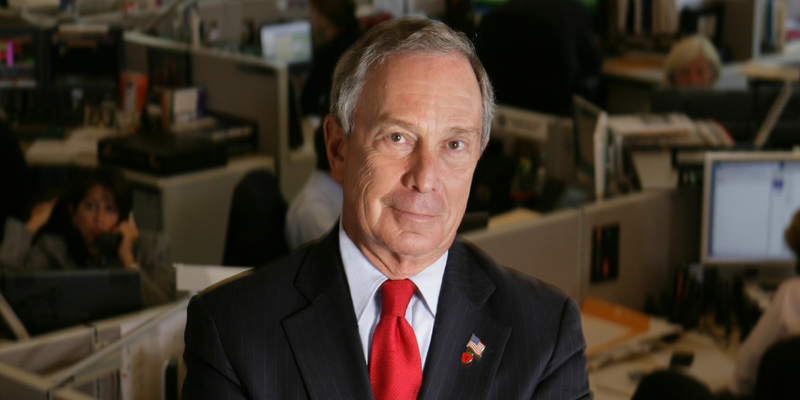 Bloomberg, who graduated from Johns Hopkins University and Harvard Business School, has been strongly committed to philanthropy throughout his career. His foundation, Bloomberg Philanthropies, employs a unique data-driven approach to its five main focus areas: public health, education, environment, arts, and government innovation. Bloomberg also leads a number of bipartisan coalitions that are taking action on urgent national and international issues, including climate change, illegal guns, immigration reform, and infrastructure investment. In 2014, Bloomberg was appointed to be the U.N. Secretary-General’s special envoy for cities and climate change. In 2016, the World Health Organization named him global ambassador for noncommunicable diseases. To register for the forum, or for more information, visit the “Events and Programs” page at www.nacubo.org. On campuses across the country, construction costs are rising at a rapid rate, forcing institutions to revamp projects, increase spending, or even delay construction. As a result, project costs are often more than 15 percent higher than initial plans. During the recent webcast, Managing Escalating Construction Costs in Higher Education, participants heard from an expert panel about the key drivers of these escalating costs, which include higher labor rates, bigger profit margins, a strong materials market, local construction climates, and academic schedules. Speakers discussed how regional market forces may also impact construction projects and the potential efficiency of alternative strategies. They addressed the importance of establishing an effective project process and a consultant teaming strategy to help identify market shifts and project adjustment options as early as possible. This webcast will be available on-demand for one year from its original air date. For further information, visit the “Distance Learning” page at www.nacubo.org. In September, as part of their annual planning process, members of NACUBO’s four constituent councils, representing community colleges, comprehensive and doctoral institutions, research universities, and small institutions, met in Washington, D.C. During the meetings, each council identified priorities and pressing issues affecting its specific constituent type. These discussions will inform upcoming NACUBO initiatives, such as annual meeting planning, program planning, and the NACUBO Economics Models Project. With Erin A. Hennessy, vice president at TVP Communications, leading the discussion, council members also talked about the focus and influence of constituent programs on (1) talent development, (2) building the pipeline of future chief business officers, (3) the NACUBO Economic Models Project, and (4) ways to conquer communication challenges. Constituent council meetings in Washington included an optional visit to Capitol Hill to meet with policymakers to discuss issues affecting higher education, and to illustrate the positive and innovative efforts by colleges and universities. 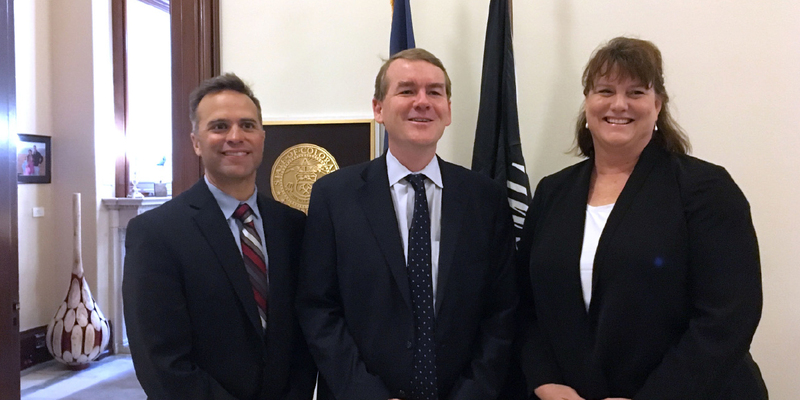 This year’s NACUBO Advocacy Day included visits to more than 28 congressional offices representing 18 states. NACUBO members and staff briefed legislators on the association’s perspective on institutional aid and efforts to lower net price, ways endowments are used to support both aid and other educational needs, and how changes in state appropriations have affected colleges and universities in recent years.